UNN Post-UTME Screening date and registration period for 2018/2019 academic session has been announced. The Post-UTME screening test will commence on Monday, July 23rd, 2018 and end on Wednesday 1st, August 2018. 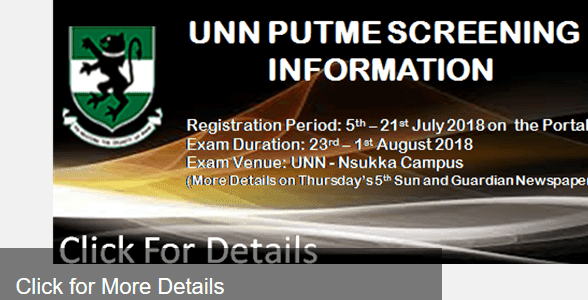 Registration exercise for the Post-UTME screening exercise will start on 5 July 2018 and end on 21st July 2018 on the university Portal.